Alexandra Chyczij was unanimously elected and sworn in as President of the Ukrainian Canadian Congress (UCC) on December 8, 2018. Previously, she served as 1st Vice President of the UCC. Alexandra Chyczij is a committed leader, activist and volunteer, dedicating her efforts to serving the Ukrainian community in Canada. The UCC coordinates and represents the interests of one of Canada’s largest ethnocultural communities (1.35 million). The UCC brings together under one umbrella all the national, provincial and local Ukrainian organizations and has been instrumental in shaping Canada’s social, economic and political landscape. Alexandra Chyczij is the Executive Director of the Canadian Corporate Counsel Association (CCCA), the national voice of in-house counsel in Canada. With a membership more than 5000-strong, the CCCA is a section of the Canadian Bar Association, the essential ally and advocate of the legal profession in Canada. Prior to that, Alexandra was CEO and Executive Director of The Advocates’ Society, a national not-for-profit association for trial lawyers, judges and advocates. Previously, Alexandra practiced civil litigation. Alexandra is a member of the Endowment Council of the Canadian First World War Internment Recognition Fund, which supports the commemoration and recognition of the experiences of ethnocultural communities affected by Internment during WWI. The UCC was one of the leading stakeholders in establishing the Internment Recognition Fund. Alexandra is an Executive member of the Board of Directors of the Ukrainian Canadian Bar Association, which maintains a national network of lawyers, judges, paralegals and law students of Ukrainian origin in order to create professional opportunities, to mentor law students and young lawyers, to conduct professional development, as well as to assist Ukraine with respect to the development of its legal system. In 2017, Alexandra co-chaired the Team Invictus Ukraine Gala Event attended by Prime Minister Justin Trudeau (Canada) and President Poroshenko (Ukraine), which raised $100,000 for the Defenders of Ukraine Fund, providing aid to Ukrainian veterans of the war with Russia. Alexandra is co-chair of the Canada-Ukraine Stakeholder Advisory Committee, a forum for consultation between the Government of Canada (Global Affairs Canada) and the Ukrainian Canadian community (represented by UCC). Alexandra was a member of the delegation of Canada’s Minister of International Development, the Honourable Marie-Claude Bibeau, on her first visit to Ukraine, in 2018. Minister Bibeau was the first G7 Minister to travel to the line of contact of the war with Russia being fought in eastern Ukraine. In 2016, Alexandra was a member of Prime Minister Justin Trudeau’s delegation on the Prime Minister’s visit to Ukraine to witness the signature of the Canada-Ukraine Free Trade Agreement. Alexandra is a member of the Fundraising Committee for the Konowal Walk at the Hill 70 Memorial, commemorating the bravery of Cpl. Filip Konowal at the Battle of Hill 70 (August 22, 1917) for which he was recognized with the highest medal of the British Empire, the Victoria Cross. He was the only Ukrainian Canadian ever so distinguished. For many years, Alexandra has worked with the Ukrainian Canadian Congress and the Ukrainian Canadian Civil Liberties Association on legal issues, advocating for matters affecting the administration of justice, rule of law, human and civil rights. She has conducted research and advocated for recognition of the Holodomor (Ukrainian Famine) as a genocide and for recognition of the unjust internment of Ukrainian Canadians and others in Canada’s first national internment operations during WWI. She has prepared submissions to and appeared before Standing Committees of Parliament and the Ontario Legislature on various issues including Citizenship and Immigration (denaturalization and deportation) and Public Safety and Emergency Preparedness (Emergency Preparedness Act). Alexandra chaired the Triennial Congress of Ukrainian Canadians in 2010, 2013, and 2016, and has been an election observer on Canadian bilateral missions to Ukraine for several elections. Alexandra was co-counsel with Justice John Sopinka on the International Commission of Inquiry into the 1932-33 Famine in Ukraine, convened by the World Congress of (Free) Ukrainians in 1988, whose report was delivered to the United Nations. 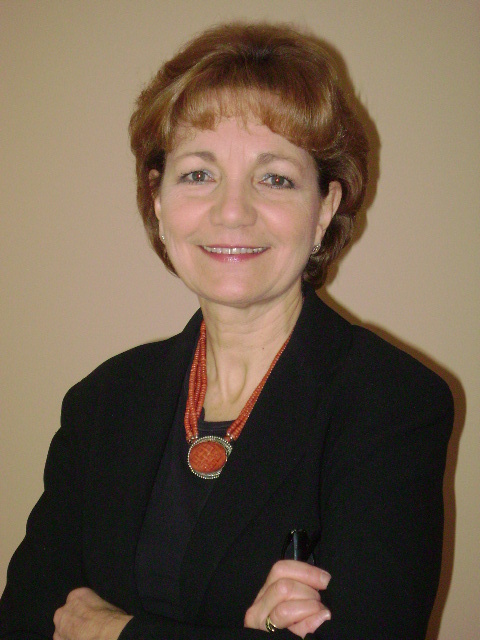 Andrea Kopylech is the Associate Director of Advancement with the Faculty of Arts at the University of Alberta. She started her career as a communications professional, writer and editor in the magazine publishing industry, transitioning into fundraising. Andrea has honed her skills in grassroots efforts, supporting organizations both local and national in scope as a fundraising consultant, and has further specialized her skills in Major Gifts at St. Paul’s Hospital Foundation in Saskatoon, and the University Hospital Foundation in Edmonton. She is a graduate of the University of Alberta (BA), a member of the Association of Fundraising Professionals, and holds CFRE certification. Currently Andrea volunteers on the UCC National Executive Board as 1st Vice President, Chair of the Fundraising Committee and remains an active past Chair of the Ukrainian Canadian Arts Network. She has served over 9 years with UCC National in several capacities, as well as having volunteered with UCC Saskatoon, UCC Saskatchewan Provincial Council, and UCC Alberta Provincial Council in the past. 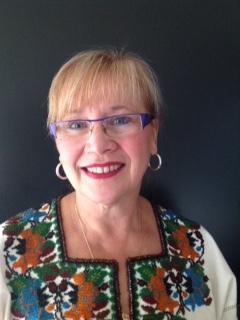 Being an active part of her local community, she also sits on the Ukrainian Bilingual Parent Advisory Society board as Vice President, is a member of the Contemporary Ukrainian Studies Program Advisory Council with the Canadian Institute for Ukrainian Studies at the UofA, and is a member of the board with Nuit Blanche Edmonton. She is passionate about Arts, Culture & Heritage and building strong communities. Andrea lives in Edmonton with her husband and 3 children. 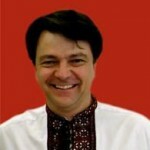 Alex Ilchenko is 2nd Vice-President of the Ukrainian Canadian Congress. Alex is Senior Counsel at Pallett Valo LLP. He is President of the Ukrainian Canadian Bar Association. He joined the UCC Board of Directors in 2016. Alex practices principally in the area of insolvency and related commercial litigation, with an emphasis on secured and unsecured creditor remedies to obtain recovery from both real and personal property, commercial bankruptcy, receiverships and commercial restructurings. Alex has represented individual and corporate debtors, secured and unsecured creditors, landlords, purchasers of assets from insolvent entities, liquidators, trustees in bankruptcy, construction lien claimants, directors of insolvent entities, receivers and monitors appointed under the Companies’ Creditors Arrangement Act. During the course of Alex’s litigation practice he has principally appeared before the Ontario Superior Court of Justice, Commercial List, and the Bankruptcy Registrar’s Court. He has also appeared before the Nova Scotia Supreme Court and the Court of Appeal for Ontario. Romana started her financial career in 2004. She initiates, develops and nurtures relationships with clients to help them achieve their financial goals. She works with clients to help find the right plan to fit their retirement needs, including estate planning strategies. Her area of expertise is employee benefits, from setting up a new employee benefit plan to modifying existing plans and making sure it fits each company’s needs. Romana is a strong believer that it’s not what we learn that makes a difference, but what we do with what we learn. She is certain that there has never been a better time for people to take control of their financial futures. “Take actions today and turn your dreams of freedom, financial security and independence into concrete realities.” She is currently licensed as an financial security advisor with Freedom 55 Financial, a division of London Life Insurance Company. Romana is proud and grateful of her family and loves being active with her son. 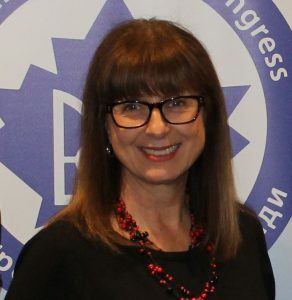 In her spare time, she devotes back to her Ukrainian roots and community and most recently served as treasurer for Ukrainian Canadian Congress of Alberta Provincial Council. 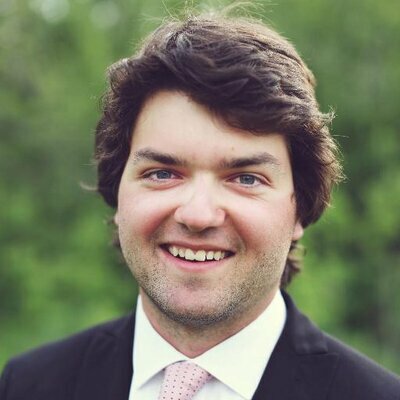 Cassian is the Founder and Marketing Manager of Urban Block Media, a marketing and web design company based in Ottawa. With over 8 years of experience in marketing strategy and implementation, he has an excellent track record of success in managing full service marketing campaigns and building strong clientele relationships. Cassian graduated from the University of Alberta with a Bachelors of Commerce Degree with Distinction specializing in Management, Marketing, and Leadership and a Leadership Certificate from the Alberta School of Business. He has extensive expertise in planning, organizing, and executing internal & external communication programs for clients in a variety of industries, and has a proven ability to utilize creative strategies to reach targeted customers. 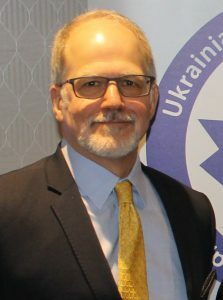 Cassian volunteers his time as a member of the Board and National Executive of the Ukrainian Canadian Congress, as Board member of the Ukrainian Canadian Professional and Business Association, and as Board member of New Pathway-Ukrainian News. In his free time, Cassian enjoys hiking, reading, and skiing in various parts of the world.